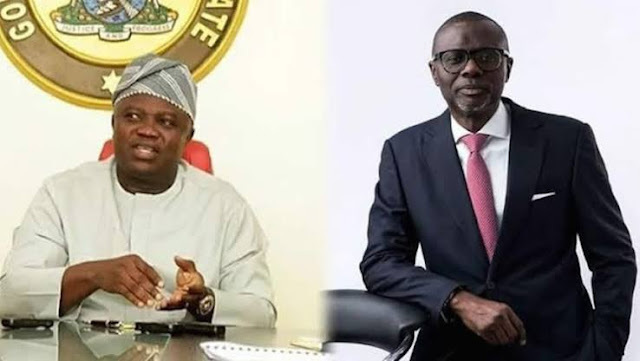 Governor Akinwunmi Ambode is out and could be down in weeks.OMOLEYE TIMILEHIN points out his options. Except miracles happen, Governor Akinwunmi Ambode will walk away on May 29, 2019 with unenviable records. He will be the first sitting governor in the South-Western part of the country since the return of democracy in 1999, to be beaten to a second term ticket. He will also be the third in the entire country, following in the footsteps of the late Mala Kachalla of Borno State and Chinwoke Mbadinuju of Anambra State. The trio fell to the machinations of the political powers and forces that raised them, but the duo before the Epe-born accountant-made-governor, could be luckier, considering that they were allowed to complete their single term. Kachalla even sought a second term mandate on the platform of the then Alliance for Democracy (AD) but beaten to a distant third position as the incumbent. Mbadinuju was offered a senatorial or ministerial portfolio, by his nemesis, which he turned down. Sunday Tribune can also reveal that Ambode too got, at least, an alternative offer when the clouds began gathering. At a meeting of the Governor’s Advisory Council (GAC) which usually holds in the Bourdillion home of his now-adversarial godfather, Bola Tinubu, the governor was offered senatorial ticket for Lagos East, in exchange for a drop-out from the governorship primaries, so that he would not walk away empty-handed. He declined the offer. Sunday Tribune checks showed that the unabated moves to terminate his tenure before the next year general election, are still as alive as when the battle to stop his second term began. Most of the non-aligned political enemies he made, Sunday Tribune was told, were from battles that had nothing to do with him but his godfather, who is now waging same war against him. A few days back, a political enemy of the governor told a Sunday Tribune source that he long foresaw his pitiable end, but that not many took him serious then. Sunday Tribune was told by a top party analyst that President Muhammadu Buhari, regardless of how Ambode ends in Lagos, could make him a big threat to Tinubu in 2019 by offering him a ministerial position that would make his adversaries in Lagos, green with envy. Months before Sanwo-Olu was eventually unveiled as Bourdillion choice, some political calculations were made known to Sunday Tribune. Three persons were said to have been locked in a tense meeting with Tinubu at his home. Two of them were well-known billionaires and the third an influential lobbyist. A proposal from Tinubu reportedly went to one of them to replace Ambode on the party’s ticket. Will Ambode, acknowledged, as the captain of the class of current governors, turn a rebel, to undermine at least in Lagos, the platform that made him? Every eye is trained on Lagos, as Nigerians await the gladiators’ next moves.